Professional remodeling results. Big projects - small projects. All manners of service done fast. Friendly and careful technicians. Get a free estimate. Flexible. Affordable. You are going to like the completed work. Is there a renovation project in the works at your place? Need somebody to deliver and install sheetrock? Or maybe you want to get a couple of holes in your walls repaired. Find someone who has been doing ceiling and wall improvements and installs for years. Lots of the work projects are in the big home renovation category. But they also carry out small home maintenance and new construction too. During a typical repair job, simple holes or blemishes in otherwise good pieces are normally patched and then re-finished. Other times, it is simpler to remove and replace pieces. They commonly work with homeowners who are going through renovating projects. 1. The order of drywall sheets is delivered to the work area. 2. The sheets are attached to the walls and ceiling. 3. The trash and excess material is gotten rid of, and the area is cleaned. 4. The joint seams and anchoring screws are taped and covered with joint compound. 5. The surfaces are finished, sanded and given a texture. After the new surfaces are sanded and dry, they’re all set for painting. Most homeowners have them complete all five steps, but some folks want them to do just a few of the steps. As an example, if you would prefer to do all the work, but you don’t have any way of getting the big drywall sheets to your location, you can have them deliver them to you. Or sometimes a property already has the sheetrock up on the ceiling and walls. They get asked out to do the rest of the taping, mudding and finishing work and get it all set for paint. They can also install special styles of boards, such as moisture-proof boards for use in bathrooms, or stronger boards that will be needed to hold up heavy tile. They’re pretty flexible with the work they can do. There are lots of ways someone could accidentally poke a hole in their wall. And there are a great deal of spots where a water line connection can develop a leak and eventually wreck someone’s ceiling. When your wall or ceiling has just a single hole, it’s possible you could try and get rid of it by putting on a drywall replacement patch, which you could buy at almost any home improvement store. In most cases, the patch that a homeowner applies does not look too wonderful after it’s all done and painted. It takes a few tries to learn how to blend the old with the new and get the finish just right. A hole in a ceiling is harder to hide than one in a wall. You should speak to a pro to do a ceiling repair job, unless your ceiling is in an out-of-the-way room. When they’re finished with your place, your new materials are textured and finished to match your existing finishes as much as possible. Patching or fixing a single hole or trouble area. Getting one or more unattractive or dinged interior walls or ceiling restored and all ready for painting. Removing and exchanging sections of water damaged sheetrock. Doing big size replacement of a whole room or more. Regardless of what type of repairs you have in mind, they can assist you. New ceilings and walls are almost always textured. Fully unfinished – only taped, best for non-finished work or storage areas or garage areas. Smooth surface finish – zero extra texture, ready for painting or wallpaper. Simple texture – will add some extra depth. Greater texture – hand-troweled and more difficult to get done. Texture match – your new wall surfaces match your original ones. The popcorn ceiling trend was really popular for a few years. Right now, many homeowners are not so happy with it. Would you like to remove yours? You can have someone take it off and replace it. 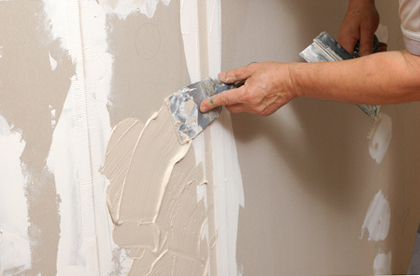 They are among the finest local southwest Los Angeles full service drywall contractors. They offer top results while charging reasonable job rates. They install the toughest and most durable materials from the top manufacturers, and their equipment and tools helps them get your project handled soon. Their personnel are tidy and considerate of your property. They attempt to guard your belongings from dust or mess. Once your project is finished, they haul out all the trash and all the unneeded materials. They accept a variety of different projects. While most of them are within single-family properties, a certain portion includes commercial buildings too. They do work for individual homeowners and commercial owners, contractors and landlords. Maybe they could do a project for you too. While some jobs might be similar, most are relatively unique. 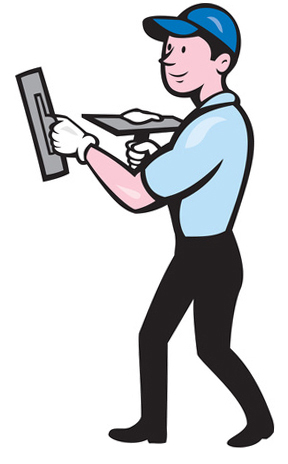 No two jobs are precisely alike. Since there might be a couple of elements around your job, the easiest way to find out more is through a brief phone call. Unless you want to paint it yourself, they can typically accept that aspect of the job also. Many homeowners would rather use a different person to do the painting. Some homeowners want to take on the painting themselves. Your property will not be the first job they work on around Westchester, LA International, Hyde Park, Windsor Hills or Park Mesa Heights. Is There Service in This LA Neighborhood? call them if you live around Westchester, LAX, Hyde Park, Windsor Hills or Park Mesa Heights.